This is a guest post by Enrique P. Fiallo. He is an author, speaker, and blogger on purposeful leadership. He focuses on Integrity, Ethics, Values, Team Dynamics, and Perseverance. You can read his blog or follow him on Twitter. No one is perfect. No one can be right 100 percent of the time (even if you are Jack Welch or Steve Jobs), including an organization’s leaders. But there are mistakes, and then there are MISTAKES. I have found 10 basic essentials that all leaders should have on their list entitled “things to avoid at all costs,” lest they end up on the wrong end of a no-confidence Board vote, a Shareholder lawsuit, or worst of all, an SEC subpoena. 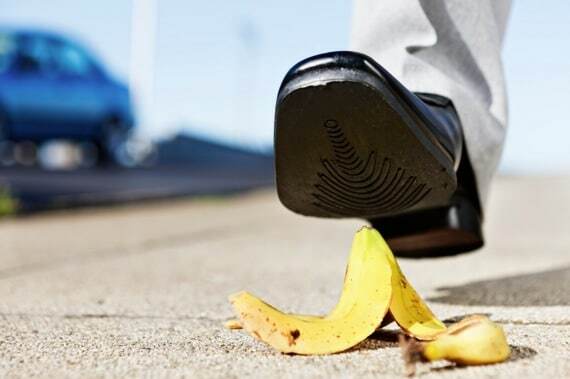 As a former (and very green) CEO, I was guilty of all of these leadership mistakes, and they cost me, my executive team, employees, shareholders, and my family, dearly. The sad part of this is that I could have avoided all of these mistakes. So, please learn from my failures. Some of these mistakes may be obvious; some may be a bit more obscure. They are all critical. Pride and Arrogance.The downfall of many leaders is that their early successes begin to inflate their egos. Never forget your roots, don’t think you are invincible or infallible, and don’t put yourself above anything or anyone. An ancient script says, “Pride goes before destruction,” and it behooves leaders to tattoo that on their forearms.The trappings and power of the office lulled me into a false sense of security. I began to believe that I was superior to other people and institutions, and that I could do no wrong. Negative Influences.There is no lack of advice in this world. Some voices offer valuable counsel that can help keep you on track. Other voices will nudge you ever so slightly until one day you wake up and find yourself way off course. Tune in to the voices of value and tune the others out.I had plenty of people surrounding me, all eager to give advice. My challenge was, sifting through the ones worth listening to, and ignoring the others. How can you tell the difference? Listen to different perspectives from divergent sets of people, and then pay attention to the still small voice inside of you. The longer you listen, the better listener and discerner you will become. Lacking Integrity.There are many things you can lack and still steer clear of danger. Integrity isn’t one of them. Establish a set of sound ethics policies, integrate them into all business processes, communicate them broadly to all employees, and make clear that you will not tolerate any deviation from any of them. Then live by them.You have to carve out time to set the “integrity agenda,” for your own edification, and then to make it clear to the organization. I took for granted people would be able to figure out right from wrong. The problem is, in the middle of a hectic and pressure filled quarter, I myself failed to figure it out. Majoring in Minor Things.This is one of Jim Rohn’s basic principles for success. You cannot be successful in the long run, being 10 miles wide and an inch deep. There are a handful of things that are important enough to account for the greatest impact. Take a cue from Steve Jobs and get rid of the distractions. Tie your vision and strategy to the truly impactful things and execute those to the best of your ability.I failed by trying to do it all. You can’t. You will hit the wall, and so will the company. I became mediocre at a large number of things. Avoiding.If there are things that you can do, and should do, then do them. Don’t neglect them. The basic business fundamentals cannot be ignored. Strengthen your skills in weak areas or put people in place in whose skill and integrity you trust.I was not able to recognize the areas I was weak in quickly enough to either learn how to do them (sometimes not practical to do) or find people with those skills that I could trust to do them well. Lacking Values. Core values are principles without which life (or business) wouldn’t be worth living. As stated in the book Tribal Leadership, values are what the organization stands in. Establish a set of Core Values that can unite the organization, and then create resonance around them.I am now convinced that Core Values become the foundation of a well-oiled, world-class, customer friendly, ethical organization. I was clueless about this in the past. Blindly Trusting People.Reagan said trust but verify. While leaders can’t do it alone, the wrong people with the wrong skills in the wrong place are a formula for disaster. Allow people to run on “short leashes” until they prove themselves.I did not take the time to properly vet, and then observe key people in their role before I let them fly solo. Any competent, well-grounded person should have no problem with this approach. Spin Doctoring.Many Corporate PR departments teach executives to provide carefully crafted answers to questions to conceal the true facts. Present the facts, tell the truth, communicate the complete story and let the chips fall where they may. This does not mean you should divulge key strategies and give away competitive advantage, but the truth is ALWAYS the truth, while lies will come back to haunt you.My team would spend a too much time crafting the right story, which in hindsight, a waste of time and energy. A better use of that time is to meet challenges and problems head on, and to communicate openly and honestly, not “spin” a story. Short-Cutting.Some companies spend an inordinate amount of time flirting with the gray areas, and engaging in accounting tricks. The ethical, values-based and successful leader understands the law of the farm. As another ancient script says, “do not be deceived: God cannot be mocked. A man reaps what he sows.”At its most basic level, there is no substitute for the natural laws of business. Develop prospects, cultivate relationships, determine needs, propose solutions, close sales, ship product and book revenue. It’s a tried and true process that takes time and skill. There is no substitute for methodical execution. I was impatient and succumbed to the temptation of circumventing the natural process through faulty techniques and flawed actions. Short-Term Focus.Wall Street and shareholders are maniacally focused on short term gains. “What will you do for me next quarter?” is the mantra of the short termer. Don’t cannibalize future results to satisfy the present quarter. If your strategy is solid, stick to your guns, let it work, and remind everyone that you are in it for the long run.We became so obsessed with making the immediate quarter, that we severely impacted future business. As a result, we started the following quarter already behind. This continued to compound until we dug such a hole for ourselves, it was impossible to climb out. These are the ten things that I discovered can make or break the most charismatic, energetic, brightest and hardworking leader, and also the company. Question: How would rate yourself on these leadership mistakes? You can leave a comment by clicking here.